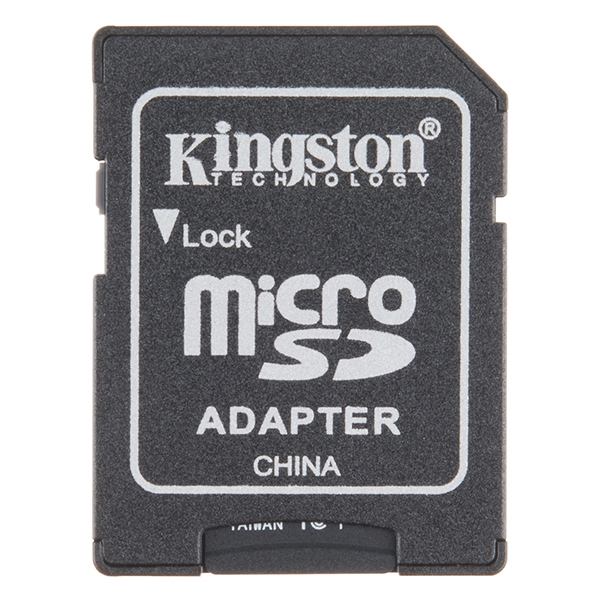 This is a class 10 16GB microSD memory card, perfect for housing operating systems for single board computers and a multitude of other information. 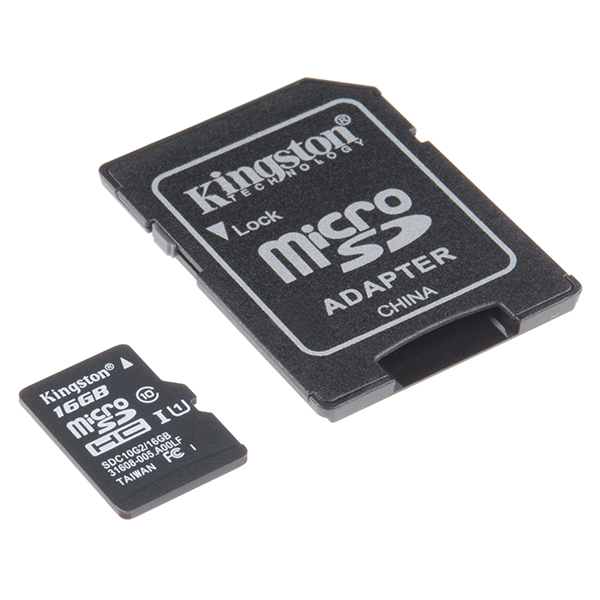 Since this is a class 10 microSD it is capable of transferring data at speeds up to 45MB/s allowing it to have a noticeable increase in performance while running an on-board OS. 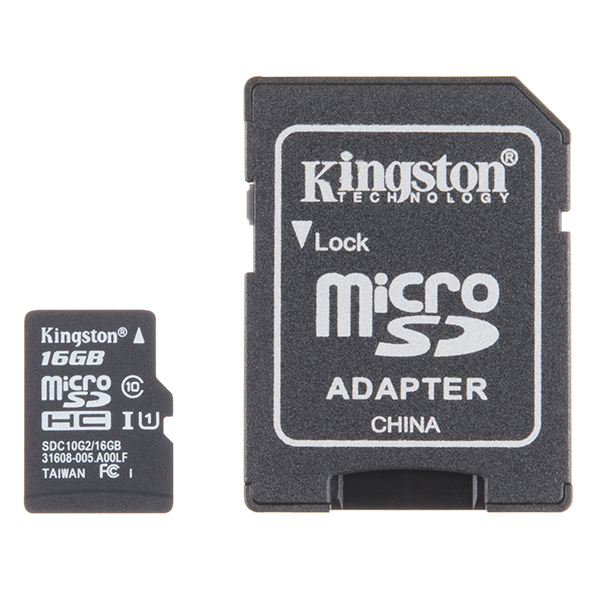 Besides the different size and speed, the "microSD Card with Adapter - 16GB (Class 10)" should work with the CAN-BUS Shield. 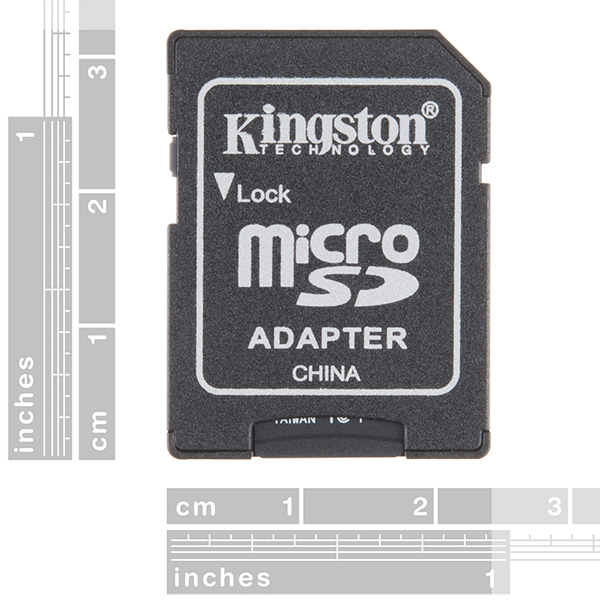 We have used the 16GB memory card on other boards populated with the microSD sockets for Arduino. The maximum limit for microSD cards on an Arduino appear to be around 32GB [ https://forum.arduino.cc/index.php?topic=357127.0 ] and the Arduino SD library ".... supports the FAT16 and FAT32 filesystems, but use FAT16 when possible." [ https://www.arduino.cc/en/Reference/SDCardNotes ]. I am using this for the OS on my Raspberry pi plus. I was able to copy the os onto it and it performed seamlessly. Recently, my neighbor has been putting together a project that we can deploy in homes where the occupants are gone for extended lengths of time to monitor the temperature. 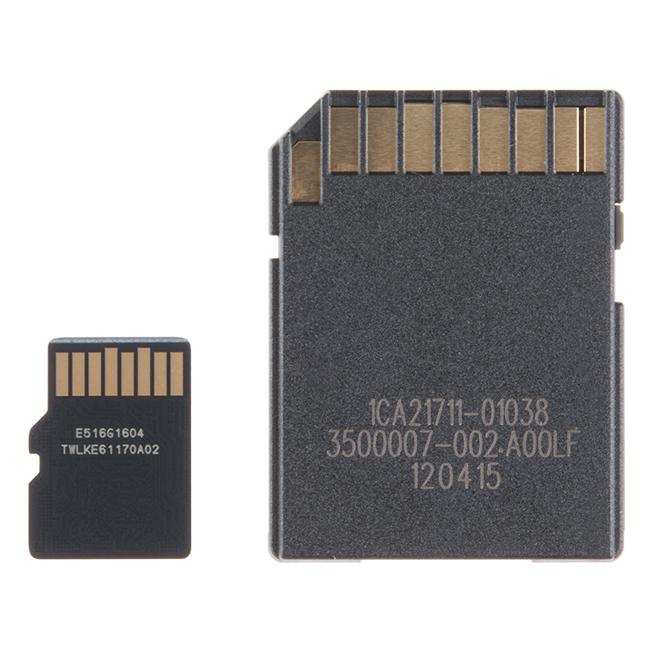 We use these SD cards in Raspberry Pi 3's along with RHT-03's to sense temperature. I get updates every fifteen minutes with an alert any time the temperature drops below 50 degrees. We love being able to pick up our purchases locally at the SparkFun World Headquarters.